It’s the time of year where we all want to “Bring Spring” into our home but need a creative idea on how to do it. Maximum Living has you covered in only a few simple steps. With one Costco bouquet and a few extra greens you can introduce the advent of Spring into every room of your home! First, choose your vessel. 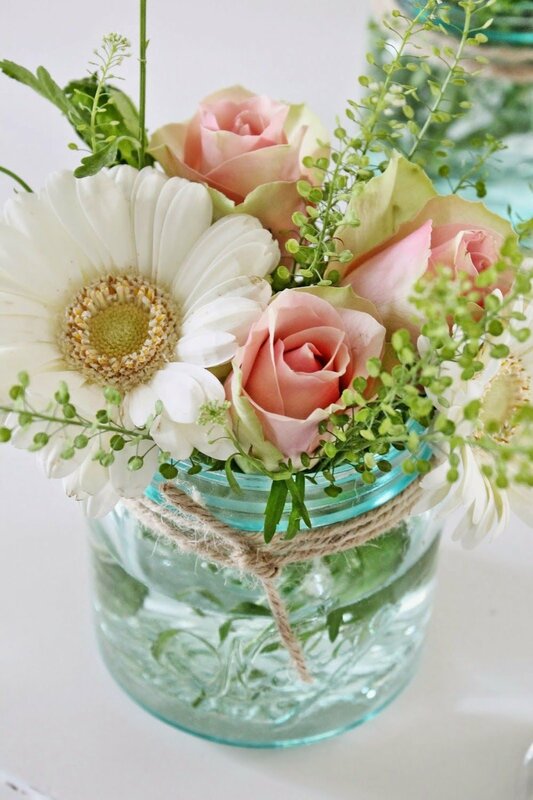 If I’m using special bottles or green-tinted mason jars as a vase then I will choose flowers that beautifully contrast with the vessel and the décor of the space they will be placed. Next, decide how many feature flower statements you want for your space and divide your flowers and greens accordingly. Many times, even just one flower such as a Gerbera Daisy with some simple greens can make a huge impact to a room. If you’re not sure what colors look optimal together, you can always use a color wheel to help you hit a home run every time. Casually wrap either ribbon, twine, colored string or all three around the neck or body of the vase to add creative interest. Cut flowers for size of the vase. For shorter vases, such as mason jars, I like to cut my flowers no more than about an inch above the neck. This gives a full compact look without the bouquet looking top heavy. For single stem statements such as a Gerbera Daisy in a bottle, I like to leave the steam long for a dramatic effect. Use your imagination and take a creative chance giving new life to any room in a matter of minutes. You Can Do It!